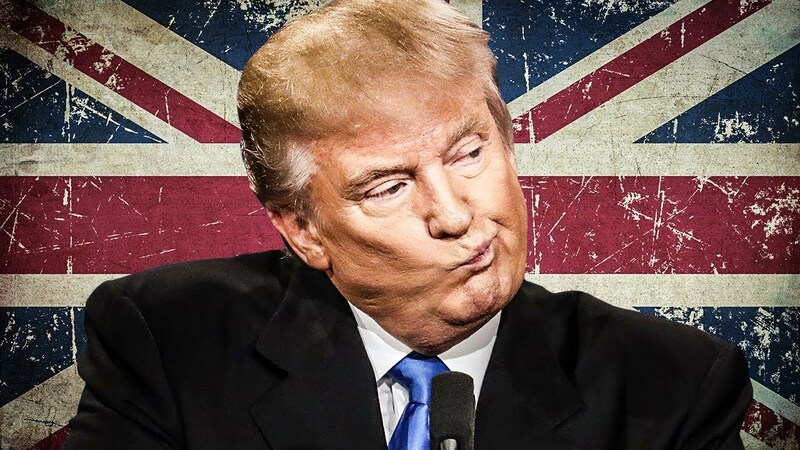 Diplomats have decided to cancel Donald Trump’s planned “working visit” to the UK after the entire country has spoken out against Trump for his recent retweeting of a neo-fascist organization. On top of that, Trump can’t seem to stop insulting British leader Theresa May online, causing the country to tell him “thanks, but no thanks” on the visit. Ring of Fire’s Farron Cousins explains what this means for the United States. Earlier this week, Donald Trump made headlines when he decided to re-tweet a neo-fascist organization from Britain, videos they had posted on Twitter, allegedly depicting ISIS members, Muslims basically, committing crimes against other people. As we know so far, at least one of those videos was completely fabricated, but his decision to re-tweet those drew a fire storm from the United Kingdom. Members of the U.K. Parliament, Theresa May, spoke out against Donald Trump re-tweeting this organization that everybody in that country understands is essentially a white nationalist neo-fascist organization. Donald Trump, rather than admitting that he was wrong, admitting that he screwed up, he and his entire Administration, specifically Sara Huckabee Sanders, decided to defend his decision to tweet out these false videos and say, well, it doesn’t matter if the videos are fake, it’s the fact that Muslims are dangerous. Now that Donald Trump has proven without a doubt to the world that he is just a complete racist against Muslims, the United Kingdom has told Donald Trump, you’re not welcome in our country. United States diplomats have now decided that they’re going to cancel Donald Trump’s planned working visit to the United Kingdom that was rescheduled from earlier this year after officials in the United Kingdom said, yeah, we’re not going to give you a full-blown official state visit, so if you want to come, it’s going to be a working visit. We’re not going to roll out the red carpet, we’re not going to welcome you with arms wide open. You can come in, fly in, meet with a few people and then get the hell out. Now, because Donald Trump is such a bigot, they don’t even want him in their country at all. That is what U.S. diplomats have conceded, and that is why they have decided that this trip is off. Donald Trump, through his racist actions, through his damn Twitter feed, has pissed off probably our closet ally in the world. Here’s the problem, Donald Trump is only making it worse. He’s still on Twitter, attacking Theresa May. He’s still talking about the need for his Muslim ban. He’s still showing the world just how disgusting he actually is. This is important. Again, our closest ally in the world is the United Kingdom, and they just gave Donald Trump a giant middle finger that is almost impossible to misinterpret here. They do not want him. They do not like him, they will not help him. It’s only a matter of time before other countries, other United States allies, follow suit. Given the turmoil that we’re having right now in the State Department, potentially, probably, likely, hopefully losing Rex Tillerson at the end of the year, we’re not going to have anybody to go over there and try to smooth things over and make amends with people. This is basically the beginning of the end of the United States and our international friendships that we do rely on for things like trade, economics, support when we have to go to war and even support when we don’t have to go to war. All of those things are gone now, some of them not quite as important, but a lot of them are really, really vital to the survival of the United States and Donald Trump in his bigotry, in his asinine Twitter feed, just screwed us.